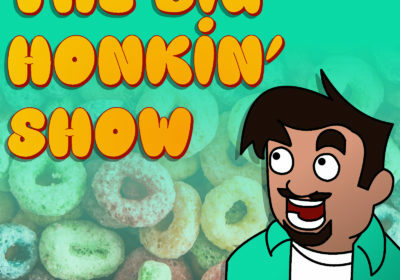 Buck and Steve talk everything from Camels to Christmas in this jam packed episode of The Big Honkin Show. Buck harmonizes with the Real Life Super Hero Theme, Steve tests out his pipes (continuously), and an Italian man gains an arm only to have it taken away. We also get to your e-mails in this episode and talk about a deformed egg and a killer deer. This episode may mark the first time the “Currently ____ degrees at the station” was used on the show. It would become a staple of the show further down the road.